Foodies swear by this one dish, serving the signature almighty hot and tasty bacon nan at Dishoom, a tradition old Bombay cafe. I’ve already visited the Dishoom Covent Garden branch and headed up to the one in Shoreditch. Walking along Shoreditch High Street trying to get in through the locked doors, a small sign tells you the entrance is by the side road of Boundary Street. 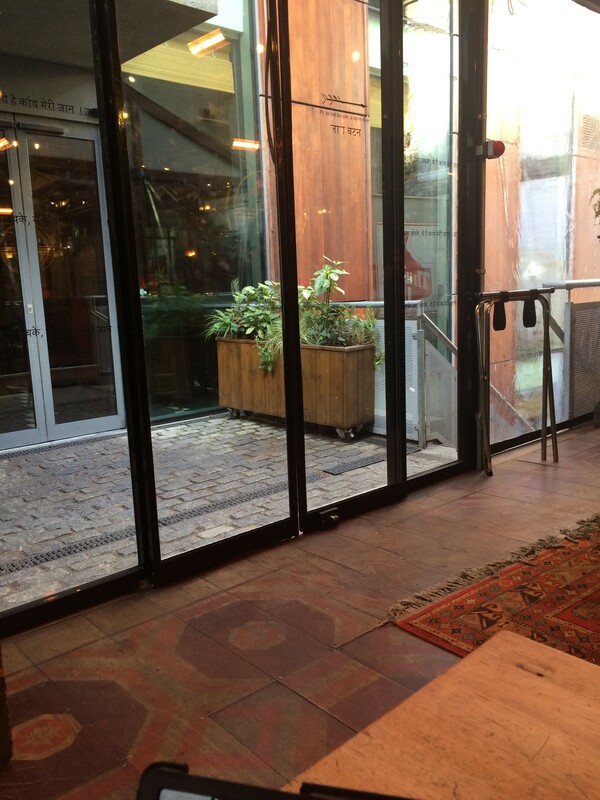 Dishoom Shoreditch is split into two buildings and the side I was sent to was smaller, intimate and casual. 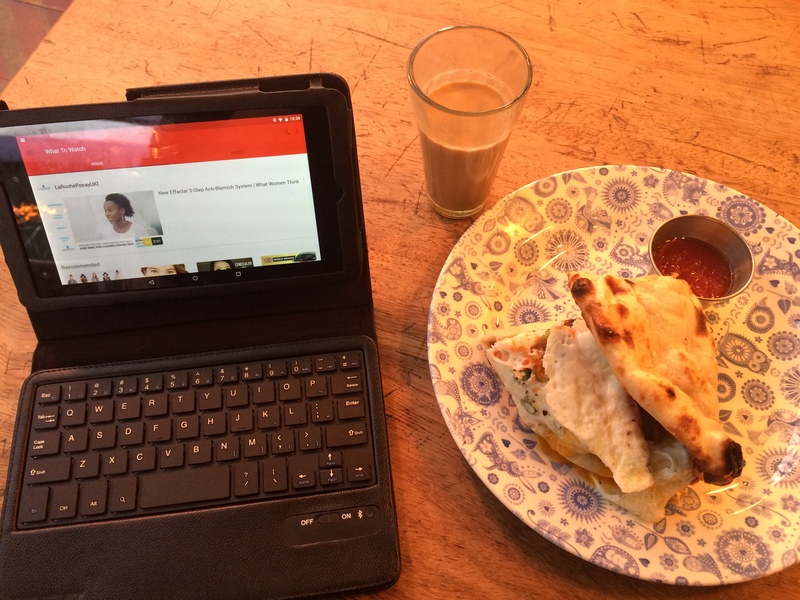 Setting up my mini office for the morning, the mission was try out this bacon nan. Each one of these are freshly baked, made by hand and crammed with cream cheese, with a serious kick of chilli jam and herbs, opting for some extras I added eggs to my order. Since the bacon and egg nan was overstuffed the only way to demolish this was to use the knife and fork, with the filling. Bubbly hot oven baked bread and fresh herbs is the first things you smell, meat had great flavour and texture it was heavenly, the generous amount of 2 fried eggs and ginger pig bacon was worth the £6.50 price tag. Along with steamy hot spicy chai that can be topped up as much as you want. 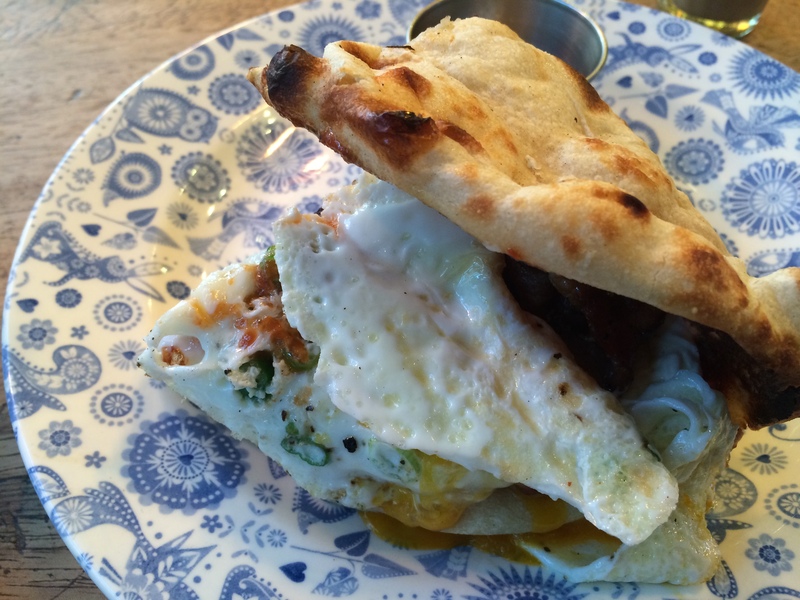 I love Dishoom it’s easy going, something different bacon and egg nan is a knockout dish. Did I mention the free wifi with no password access?